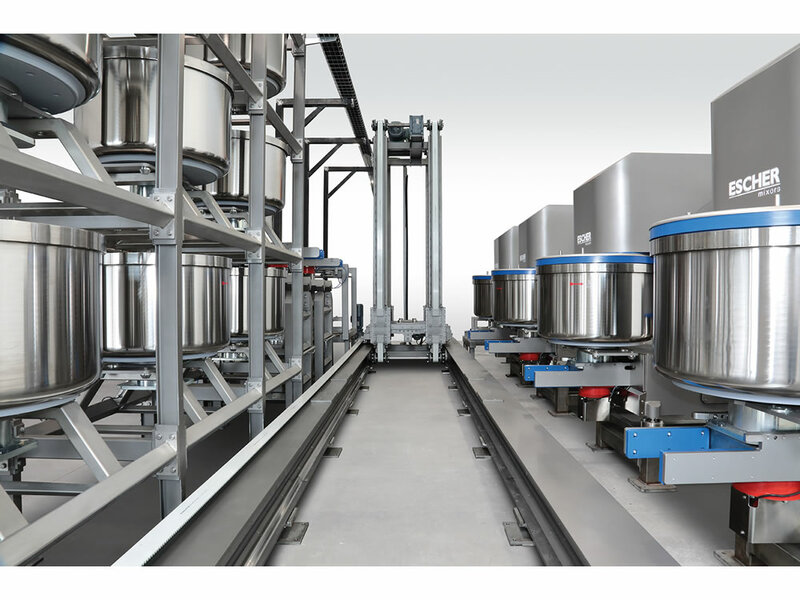 Fully automatic mixing and bowl handling system. Modular installation with Cartesian movement and bowl stacking. Linear and Cartesian movement with bowl stacking.